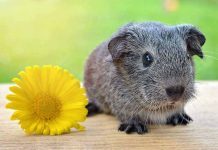 Home Guinea Pigs Cool Guinea Pig Names – 300+ Great Names for Your Furry Friend! 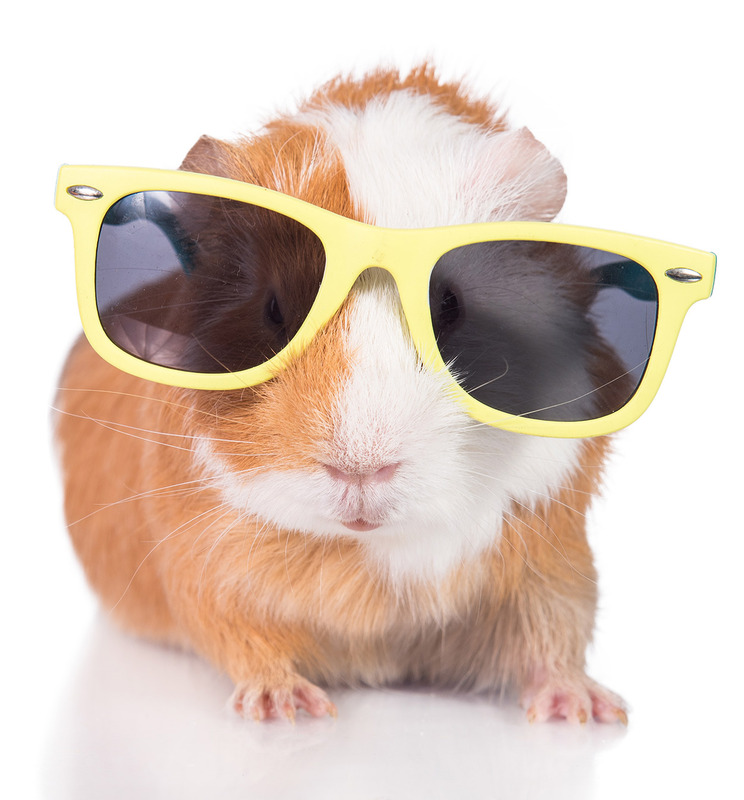 Cool Guinea Pig Names – 300+ Great Names for Your Furry Friend! Looking for cool guinea pig names for your new best friends? We can help! Guinea Pigs are cuddly, cute little creatures that can make ideal pets. How can you resist that furry little face with the twitchy nose and ticklish whiskers? Did you know that Guinea Pigs aren’t pigs, or from Guinea? These little guys (and gals) are pretty unique pets, with a very interesting history. If you’re looking for cool name ideas to match your Guinea Pigs’ cool personalities, you’ve come to the right place! We’ve gathered together more than 300 awesome name ideas for your newest family members. Did you know that Guinea Pigs love having a roommate? Since they’re so social, it’s always a good idea to bring them home in pairs, so they don’t get lonely. Therefore, we’re going to kick off this list with cool Guinea Pig names for pairs. There are a lot of iconic duos to name your fuzzy little friends after, whether you’re choosing fictional characters, Hollywood couples or objects (like chips and salsa)! We’ve also added in some awesome Guinea Pig names that have a nice ring to it, just for fun. If you want to avoid little guinea piglets, you should make sure you bring home two of the same gender. Here are suggestions for two female Guinea Pigs. There are some well known male duos that can make great names for a pair of boys. We’ve listed these, and some quirkier ideas below. Are your two newest pals look-alikes? Perhaps they are two “peas in a pod”? Here are some name suggestions of pairs that just seem to belong together. Maybe having a pair is simply not your style and you’ve decided you’d much rather have three furry little friends. Don’t worry; we have you covered as well! Here are some cool Guinea Pig names for trios that are based on well known characters from cartoons, television and movies. Just because your Guinea Pigs don’t like to travel alone doesn’t mean they can’t have unique individual names, not related to well-known pairs & trios. After all you don’t have to give your children names that go together, although some people do! 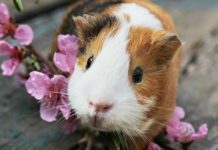 We will cover lots of individual name ideas based on Guinea Pigs’ looks, from their hair length, to hair color, to their cute piggy-like appearance. Let’s start with some cool long haired Guinea Pig names. Are you still struggling to find the perfect names for your new pets? There is such a thing as a hairless Guinea pig, however most of these little guys have white, brown, black or orange hair. Below, you will find lots of awesome Guinea Pig names, based on the different coat colors. If your newest furry friend is all or mostly white in color, you may consider one of the following name suggestions. Brown Guinea Pigs can range anywhere from a light beige to a dark chocolate color. Whatever brown shade coat your little pal is sporting, we have some name suggestions here. Guinea Pigs can be found with very dark brown or dark grey coats, as well as true black. 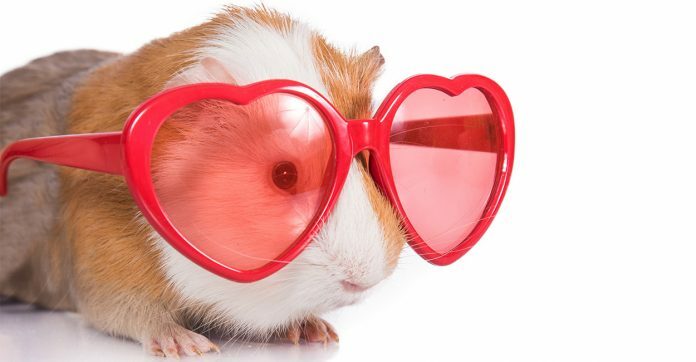 Whether your Guinea Pig is more of a strawberry blonde or a carrot top, we have some orange Guinea Pig name ideas here. Guinea Pigs can have a solid color coat, but others sport a wide variety of different color patterns. Here are some name ideas based on the various possible hair patterns. For the Brindle pattern you could simply choose Brindles. Dutch guinea pigs have a white coat with a different color patch on their rump and their face. If you have a Guinea Pig who is sporting a black and cream patchwork coat, he or she is called a Harlequin. The most obvious name for this type is Harley and it can work for either gender! These are black and white Guinea Pigs that have a checkered pattern. Similar to Dalmatians, these Guinea Pigs are also black and white but speckled instead of spotted. There are two types of tortoiseshell coat for Guinea Pigs. You made see a Guinea Pig with black and red patches, or one with black, red and white patches. This is similar in appearance to the Himalayan cat, with a white body and distinct dark markings on the face and feet. If you’re looking for a more creative Guinea Pig name, we’ve included some unique suggestions here. Still struggling to find the perfect moniker for your new little pals? How about one of these clever Guinea Pig name suggestions? We just love the cute sounds Guinea pigs make. Why not use them as inspiration? Even though these little pets are technically rodents and not pigs, they do have a physical resemblance to real pigs. Here are some piggy name ideas! The naming possibilities for these little pals are nearly endless. 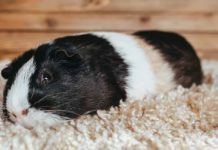 If you’ve browsed through the more than 300 suggested names above and haven’t yet found the right ones, here are yet more great Guinea Pig names for you to consider. When you are considering what are good names for Guinea Pigs, you can be as creative and unique as you want to be. Names are very individual. You may prefer to give your pets “human” names, or names them after objects. Or, you might prefer to wait and learn their personalities and then give names reflective of them. Some people prefer funny names, while others opt for intellectual titles. After all, you’re the one who will be calling the names, and your Guinea Pigs are the ones who have to answer to them, so whatever feels right to you are the best names to choose. If, at the end of the day, you choose to go with something crazy like Note and Paper, no one has the right to judge! Previous articleCan Guinea Pigs Eat Plums?